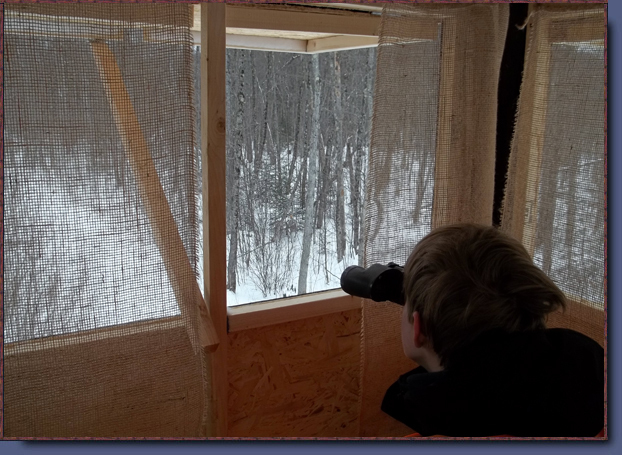 Carpenter Lake Cabins is a comfortable base for your deer-hunting expedition using either bows or rifles. The hunt begins with quality housekeeping accommodations from which hunters can emanate for any of several types of hunts. For example, the Carpenter Lake area has a large network of roads and tracks on public land that can be driven by truck or ATV in search of deer (see Fishing and Recreational Map). We provide guidance as to which of the roads in the area are best for encountering deer. For those who like to hike, the area has many tracks, trails and open hardwood forests through which either solo hunters or groups of hunters can trek. 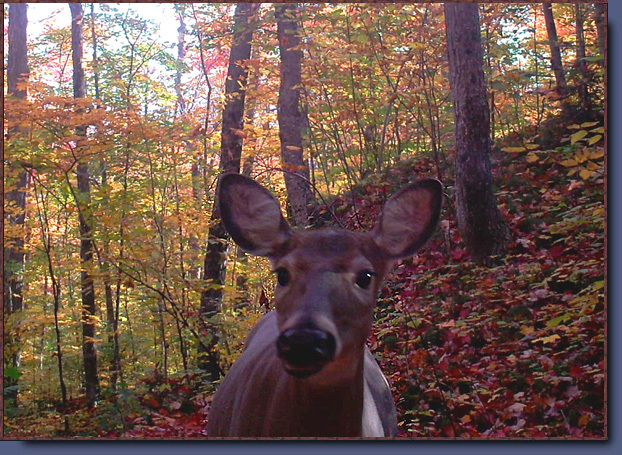 We scout perspective hunting areas early in the fall and can provide guidance on good places to hunt. 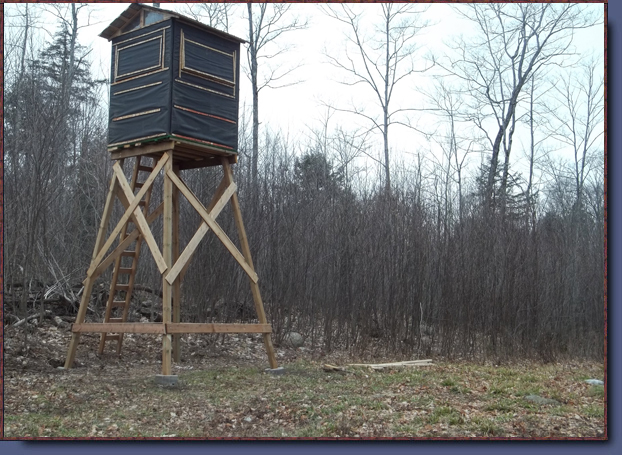 Enclosed and open tree stands are maintained on private lands exclusively for the use of our guests. 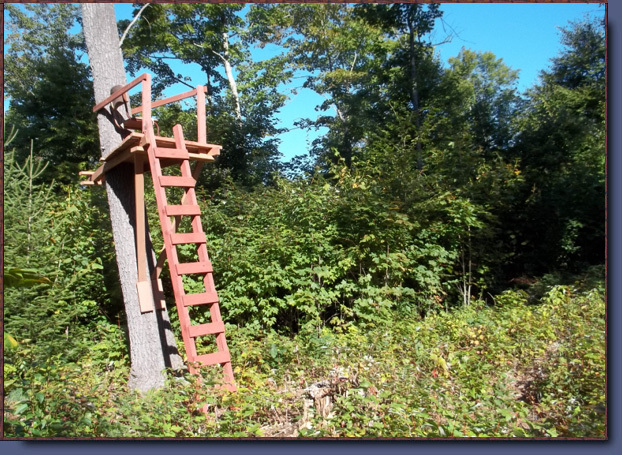 Most tree stands overlook open plantation-areas in hardwood. 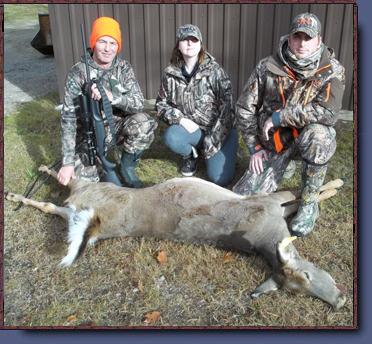 We provide maps and tips on good hunting techniques and strategies including tours of hunting areas. Your overall success at hunting will depend partly on the deer population that varies in a cyclical manner over a period of years. 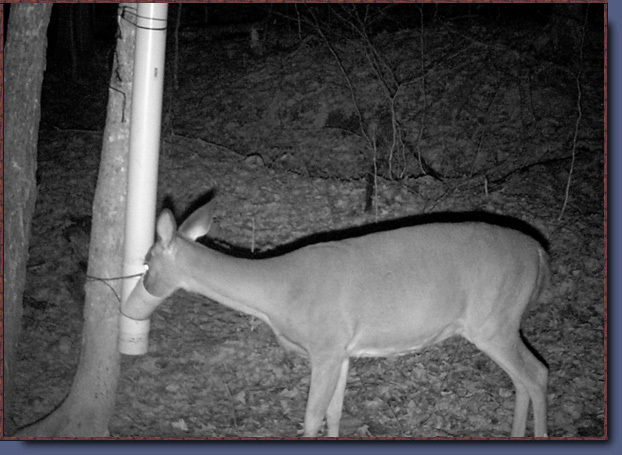 Please check with us for an assessment of the current deer population and hunting prospects. 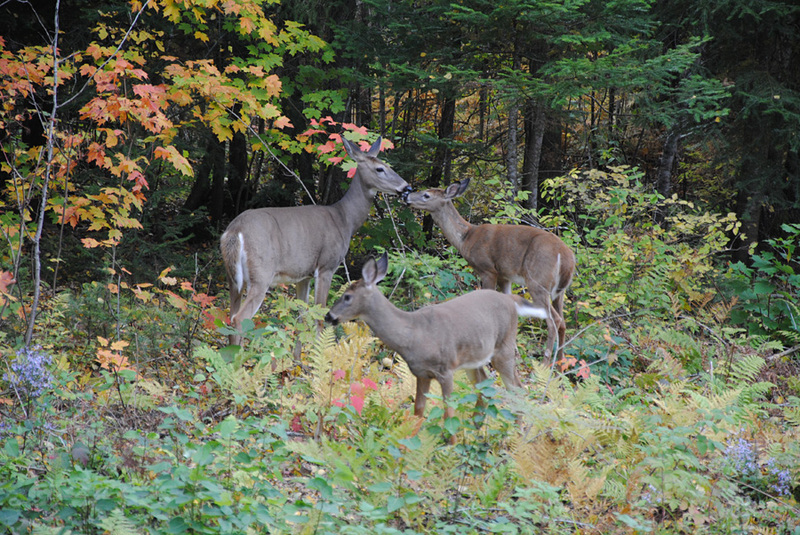 Go to Contact Us/Useful Links for hunting regulations, dates to apply for antlerless deer draws and license requirements for residents and non-residents in our area (Wildlife Management Area 36).